Ch. 7, dc in the 3rd from hook, tr in the next 4, join with a slip stitch in the bottom of the post of the dc stitch in the previous row. Ch. 7, dc in the 3rd from hook, tr in the next 4, join to bottom of the hdc (1st stitch of the head). With the right side of your work facing you, beginning with the first stitch of the body directly behind the ears, insert your hook in the 16th stitch and pull up a loop of white. Ch. 2, work a 5 dc popcorn stitch, fasten off your yarn. Work 5 dc in the same stitch. Pull up a loop in the last dc. Take your hook out and insert it from front to back into the top of the first dc. Put the loop from the last dc back onto your hook and pull it through the first dc. 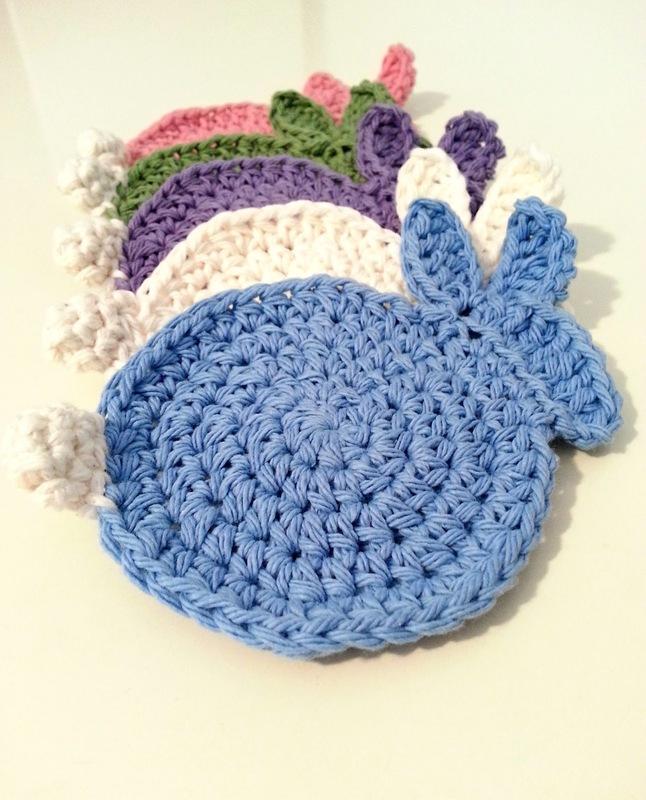 If you don't want to make coasters, you can also string a bunch of these cute bunnies together to create bunting. If you want bigger or smaller bunnies, just use a different hook size! No matter what you decide to do with these Easter bunnies, I hope you enjoy making them! Add this pattern to your Ravelry library to save it for later! 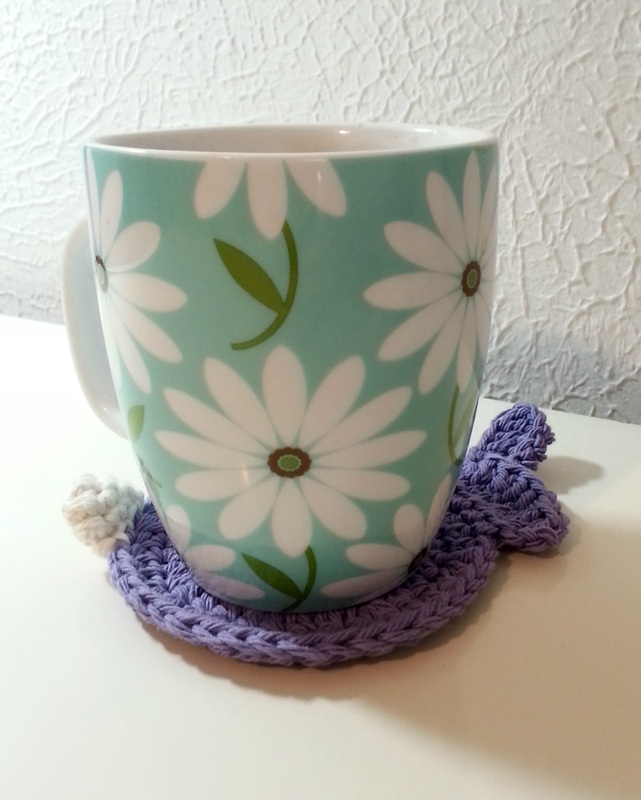 I could see making them bigger for placemats. At the end of Round 1 it says to join at the top of the first sc. The round is done in hdc, is this a typo? Yes, it's a typo. So sorry! It's been fixed.